Before the Nintendo Wii, there was the Game Boy Player, which enables Game Boy, Game Boy Color, or Game Boy Advance cartridges to be played on a GameCube. 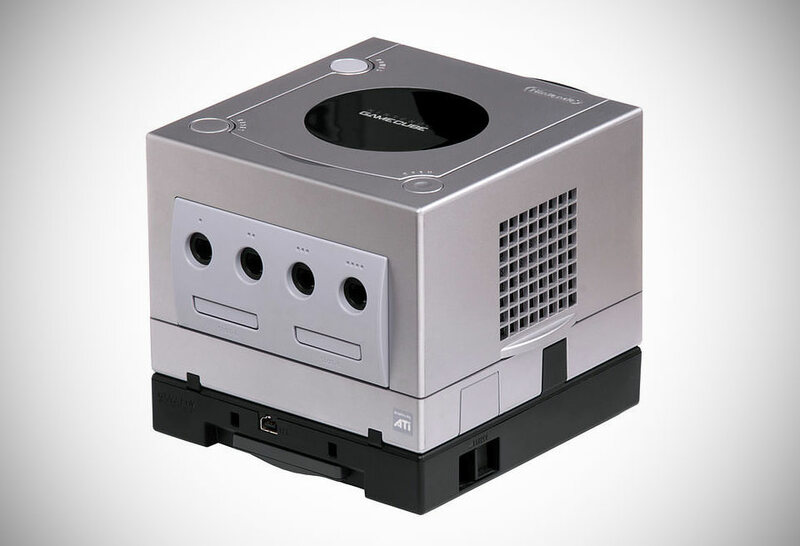 It was the very last Game Boy-based add-on for a Nintendo console, and connected via the high-speed parallel port at the bottom of the GameCube console. Unfortunately, it required the use of a boot disc to access the hardware, but on the bright side, it doesn’t use software emulation, instead relying on physical hardware nearly identical to that of a Game Boy Advance. Read more for another video, additional pictures and information. Available in Indigo, Black, Spice, or Platinum colors in Japan, this add-on has screws on the bottom to secure it to the GameCube console as well as an eject button on the right side to easily remove the inserted games. Although Game Boy Advance games sit flush during gameplay, Game Boy and Game Boy Color games stick out slightly from the unit. All can be safely removed when the system is off or “Change Cartridge” has been selected from the menu. 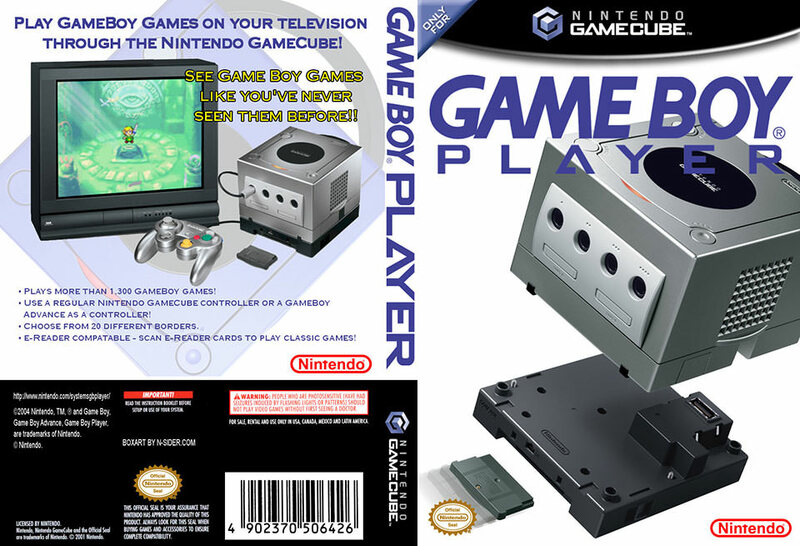 The Game Boy Player can be controlled with either a GameCube controller, Game Boy Advance or Game Boy Advance SP connected via a GameCube-Game Boy Advance Cable. When using a Game Boy Advance, the buttons are identical, but due to the GameCube controller’s button layout, there are two different mappings players can use. 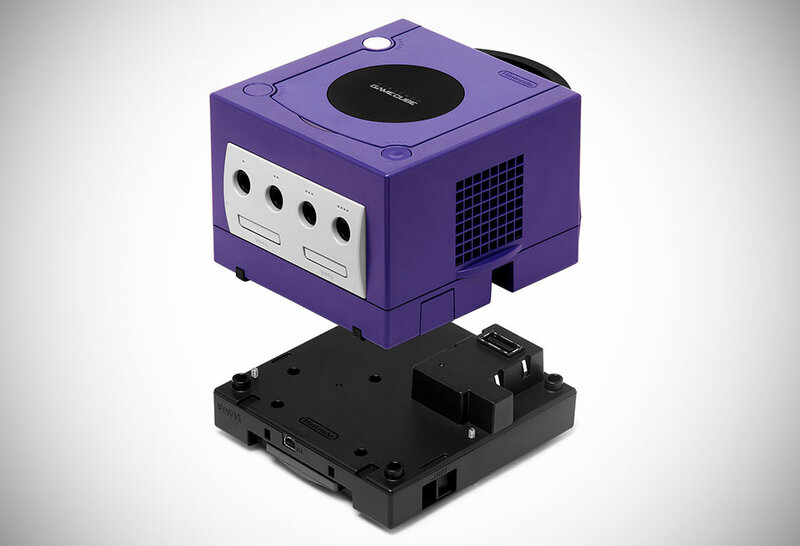 Best of all, the Game Boy Player is region free, meaning the units will function on any GameCube console regardless of region. However, the boot discs are region locked and must match the region of the GameCube system. One caveat: te instruction manual for the Game Boy Player specifically mentions that “A few original Game Boy Game Paks may have display or sound problems,” and that “Motion sensor […], rumble feature and infrared feature Game Paks will not work with the Game Boy Player.